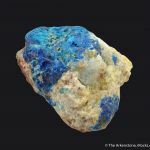 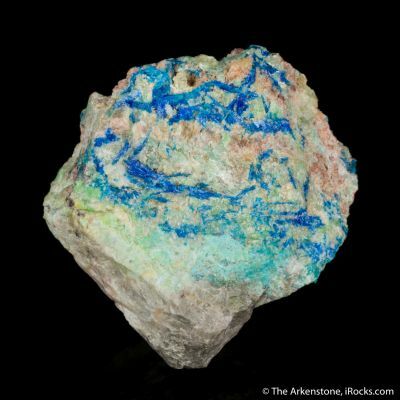 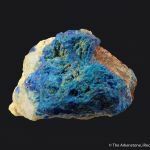 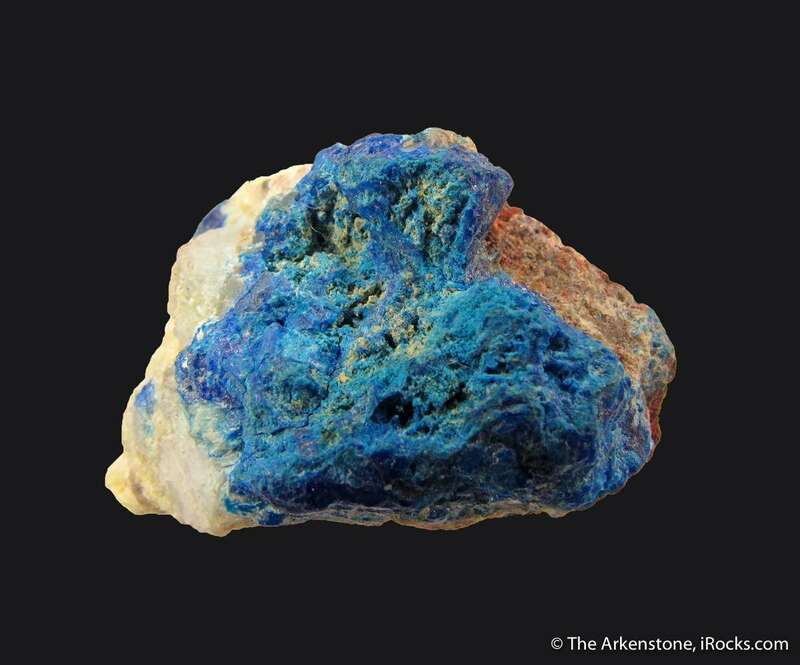 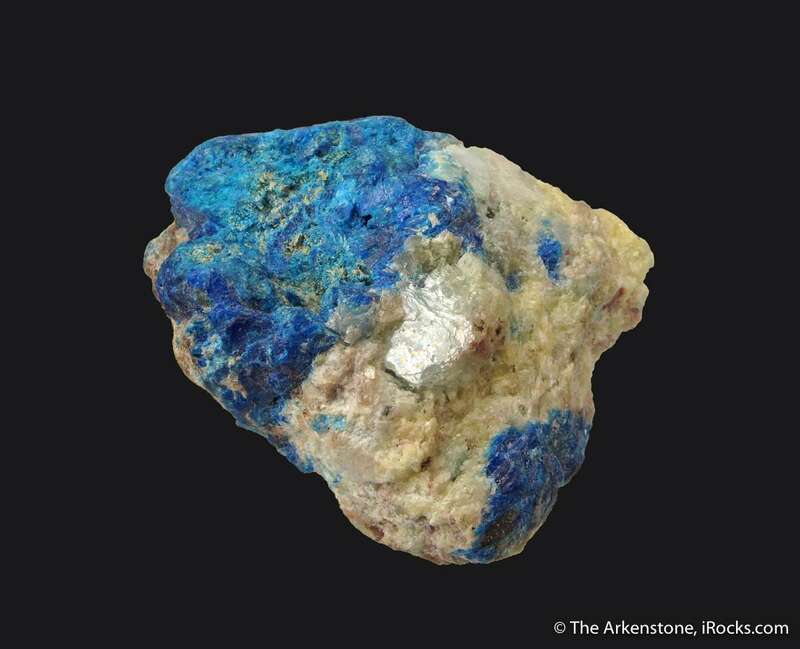 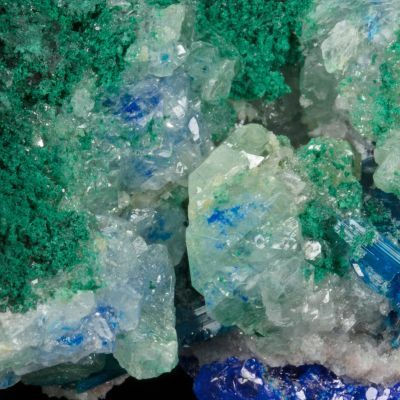 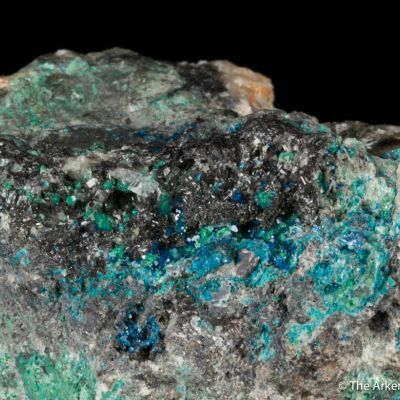 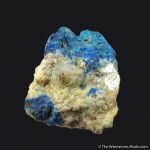 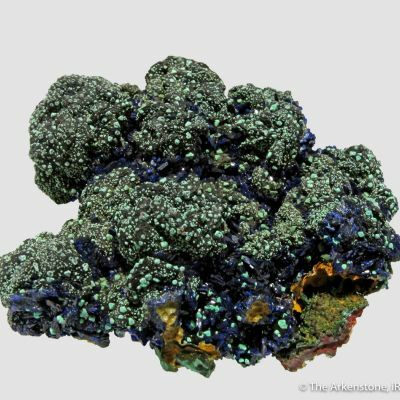 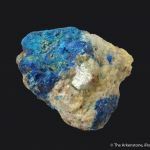 A rare lead, copper chloride, Diaboleite is one of the great treasures from the surprisingly complex suite of minerals found in this old mine at Tiger. 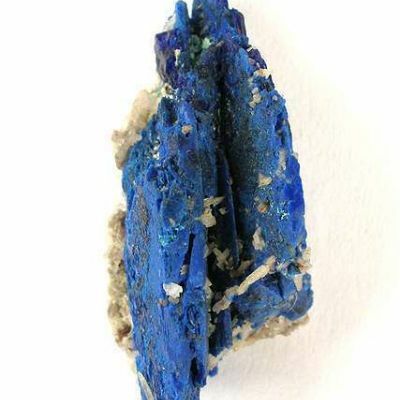 The crystals are never large, but the intense azure color is amazing. 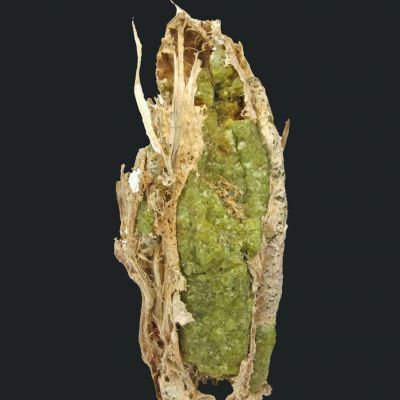 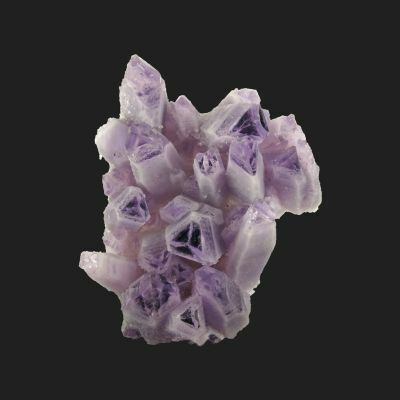 This specimen features several translucent, subhedral crystals or crystal fragments up to around 1 cm, on matrix. 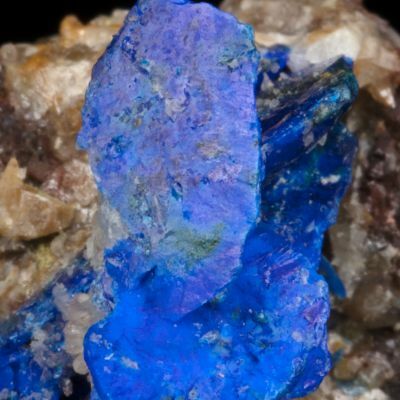 The luster on the fresh, deep blue cleavage faces of the Diaboleite is excellent, and much better than can be picked up in the pics. 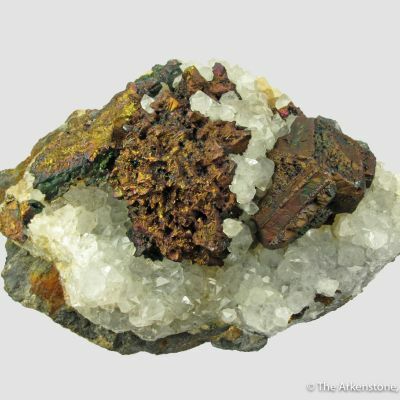 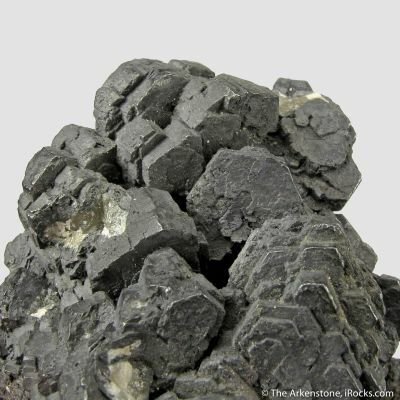 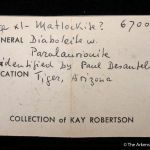 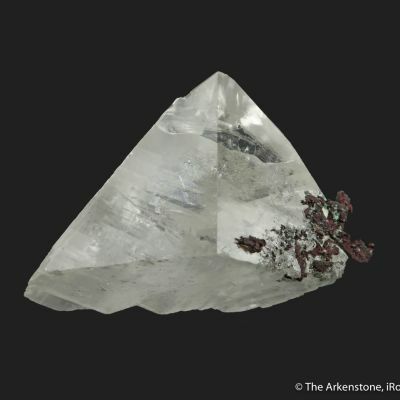 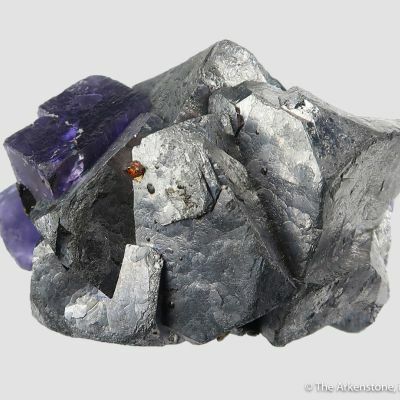 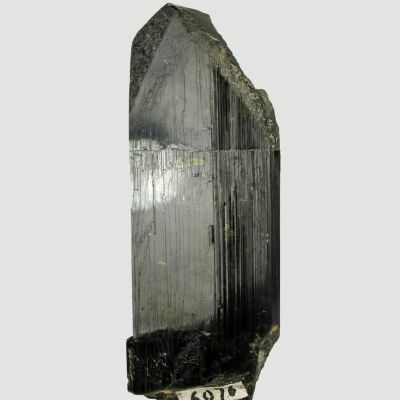 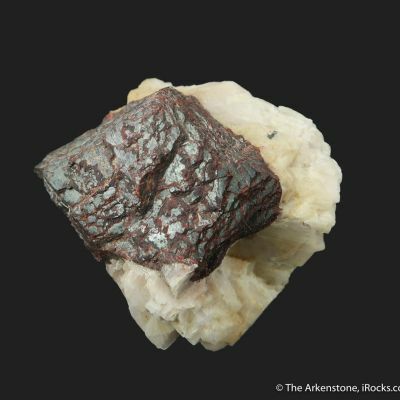 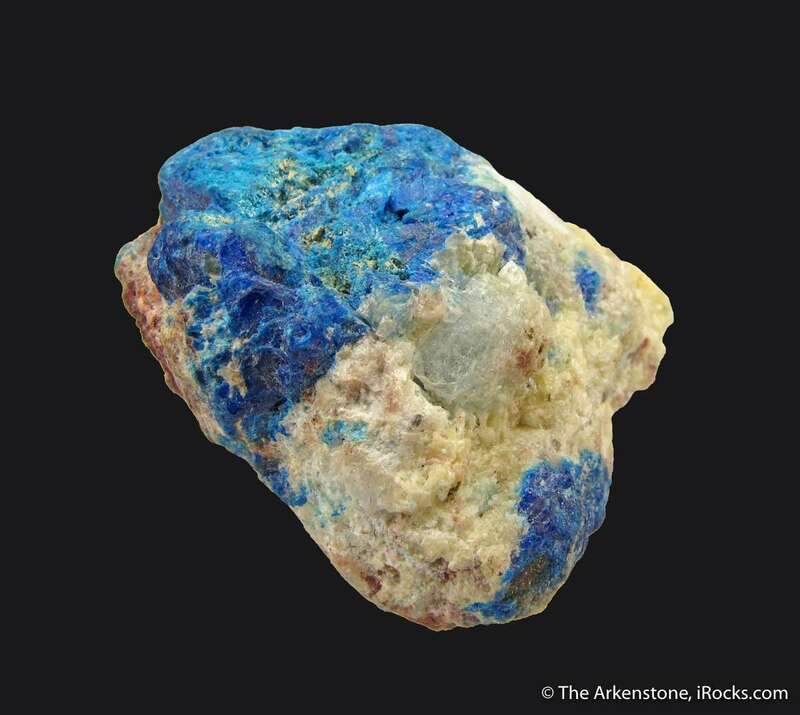 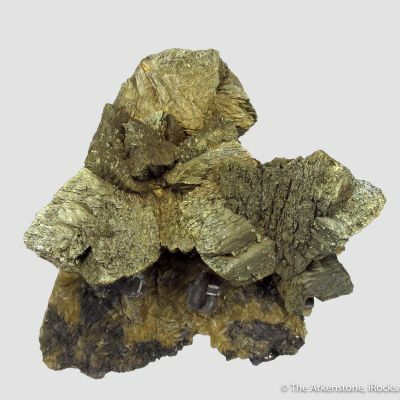 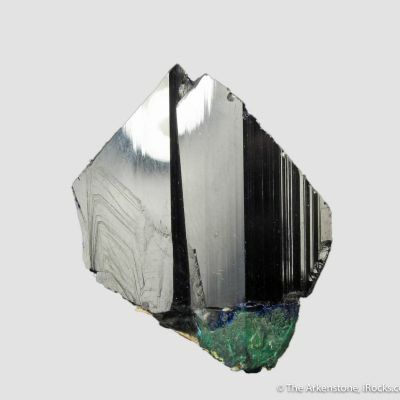 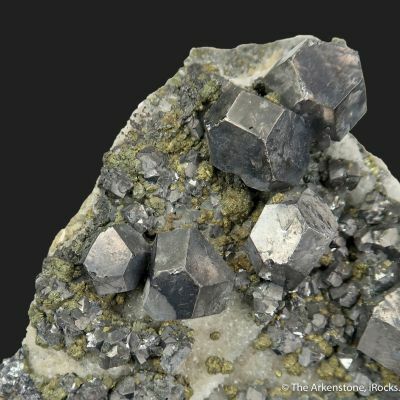 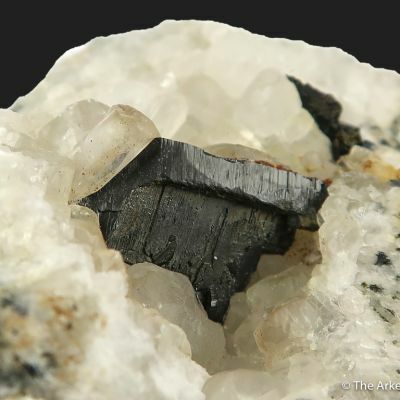 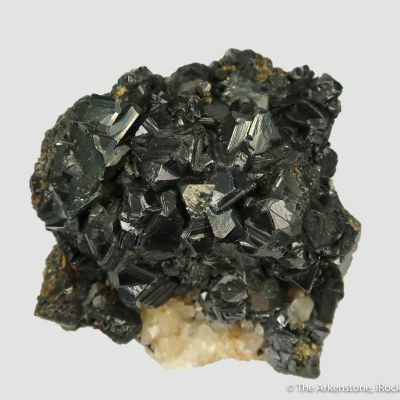 This is in association with Paralaurionite (identified by Paul Desautels according to Kay's label) and flat crystals of what they thought likely to be Matlockite, as two 7 mm, highly pearlescent crystals. 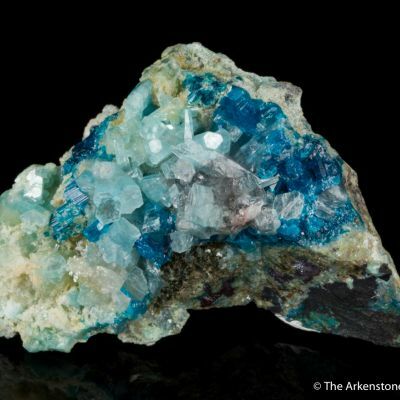 I suspect those crystals are leadhillite, as is typical for this locality. 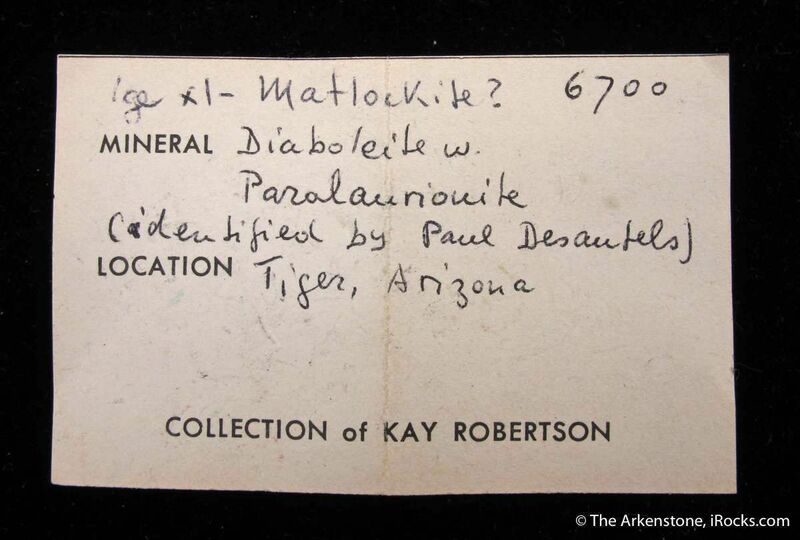 Either way, this is an important and very uncommon combination specimen.